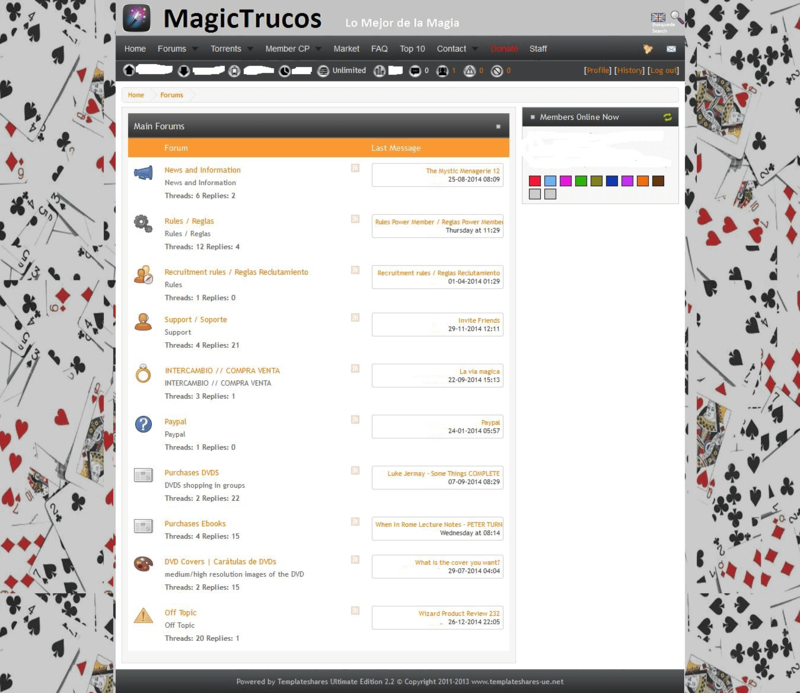 MagicTrucos.com / MagicTrucos / MT – is a great Spanish private torrent tracker which mostly related to different material about tricks and stunts. 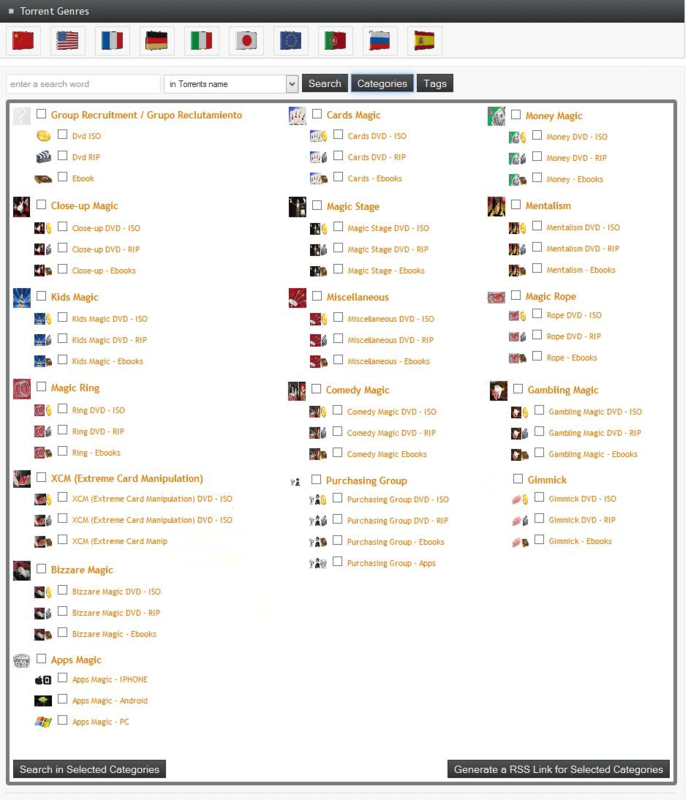 If you are looking for any magic-related stuff you can also find from this e-learning tracker. To get an invite here is very hard, almost impossible if you are not a magician, but you will be really highly exiting with this site. It is a great Magic Tracker already about one years old with awesome content, which is hard to find anywhere else. As you can see Magictrucos has about 10000 pure magic torrents and there are only more than 300 users, but there are decent number of new torrents every day. 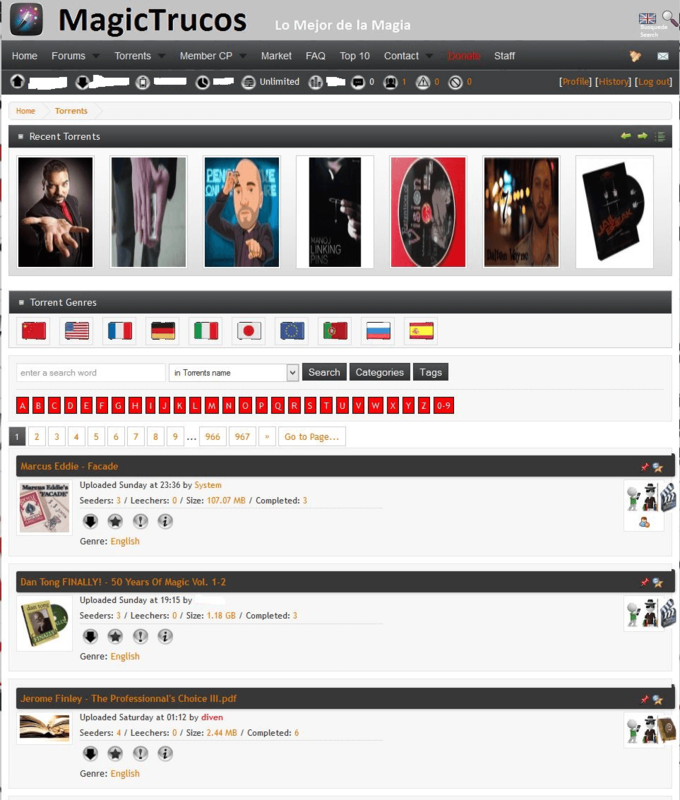 In spite of not high number of members the tracker has a wide tematic collection with different categories like Close-Up Magic, Kids Magic, Magic Ring, Comedy Magic and more over. Just have a look at the screenshots on the right. It is a fantastic site, everyone is proud to be a member here. Fantastic content, friendly and helpful users, great speeds. The important thing is if some torrent lost activity (seeders, leechers) just press the bottom “Request a reseed” and it will become active again. 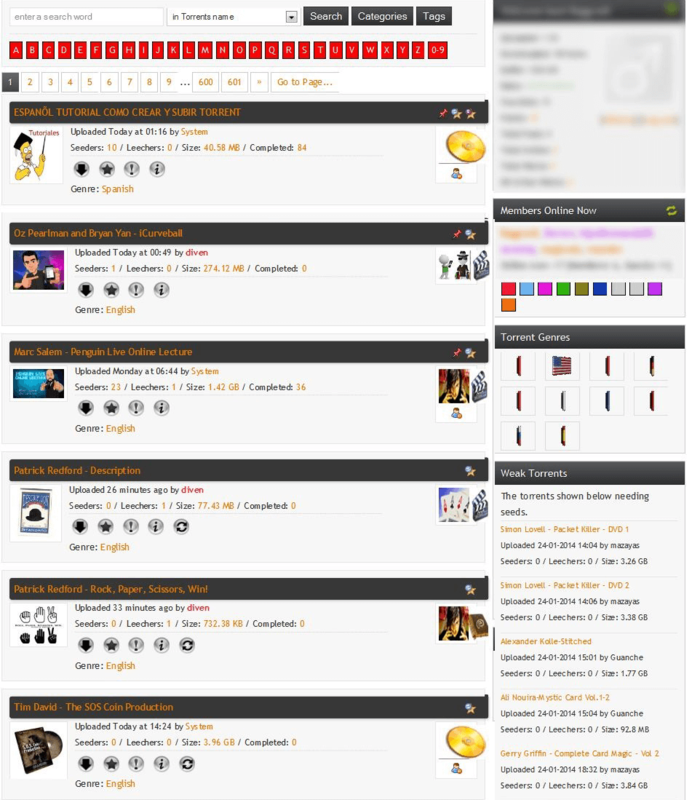 Perfect site for magicians and magic lovers, its price is completely worth. any account or invite?thank you.